Made of one-piece puncture-proof molded foam. Ring shape comfortably conforms to body contours. Removable polyester/cotton cover is washable. 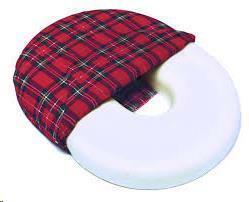 * Please call us for any questions on our cushion ring 14 inch plaid serving Seattle and surrounding communities.